Suzanne Ryder, Claire Kelley and Armando Mendez, The Natural History Museum, London, U.K. 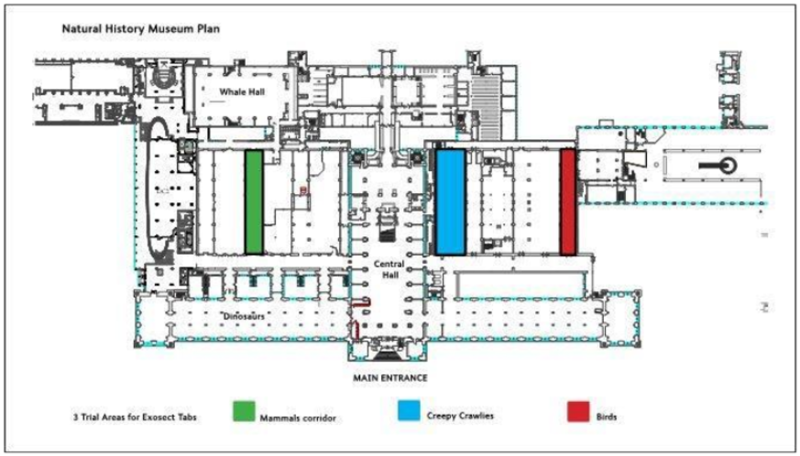 Integrated Pest Management (IPM) at the Natural History Museum, London has made some enormously positive steps towards protecting its collection against pests, notably introducing the concept of Risk Zones. Possibly the biggest and most ambitious IPM project has been the installation of a purpose built quarantine facility at the South Kensington site. We also benefit from a sophisticated monitoring, recording and reporting and mapping system, KE Emu, in addition to a well organised and comprehensive IPM group with continued support from upper management. Even with the best facilities and support the pest problem never goes away and basic IPM principles will always be fundamental to success. We are constantly learning and trying different ways to prevent and treat pest problems. As the traces of the now banned pesticide Dichlorvos fade away nationally, museums and cultural institutions have reported an alarming increase in the numbers of webbing clothes moths, Tineola bisselliella over the last few years and the NHM, London is no exception. In an effort to control moths without using the increasing list of banned pesticides, NHM is currently conducting trials of a moth confusion system by exosect® and looking to trial a biological control agent, Trichogramma evanescens as ways of controlling the increasing moth problem. Subterranean termites (Reticulitermes spp., Coptotermes spp. and Heterotermes spp.) 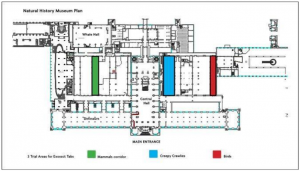 are a significant challenge for the heritage sector due to a variety of factors, including termite adaptability, intricacies in period building design, the need to implement least-invasive control methods and limitations of product efficacy. Understanding termite biology, habits, movement patterns, and preferred food sources in relation to building construction elements is key to successful control. To aid in risk assessment, studies have been undertaken to determine the extent of damage a termite colony is able to exact on cellulous-rich material during a given time. Variations in size and species of colony, environmental conditions, and other factors make exact projections difficult; however, experimental results suggests that a colony of 200,000 can consume up to 12 pounds of cellulous per year. 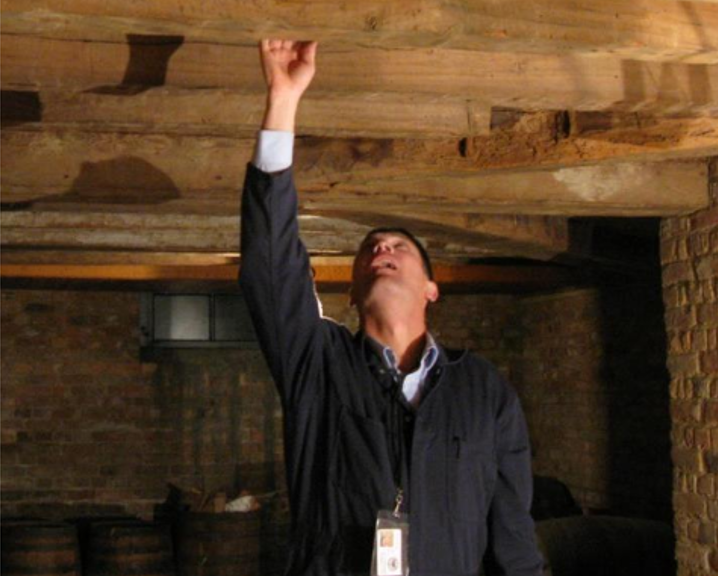 This makes subterranean termites one of the most significant threats to the preservation of historic structures in the United States. Developing an approach with IPM in mind significantly reduces the risk of damage to irreplaceable material and offers a holistic approach to termite prevention. 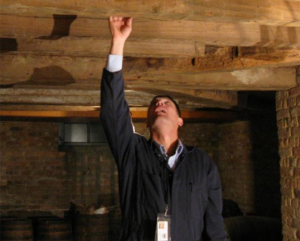 Colonial Williamsburg has structured their termite prevention effort to include the prioritized categorization of 600 historical, reproduction, administrative, storage and museum structures by risk factor and preservation priority. The webbing clothes moth Tineola bisselliella (Hummel, 1823) is one of the most common museum pests and can be found all over the world. The larvae of this species damages objects made of feathers, wool, fur and other materials with keratin. Monitoring with pheromone traps is a useful tool to find infested objects and evaluate the extent of an infestation. Up to 150 moths (all males) can be found within a few weeks if an infestation is high and close to the trap. But sometimes only a few moths (one to five) are found per trap making the data difficult to interpret and prioritize further actions such as searching for the infested objects or selecting a treatment method. Dust or other materials of animal origin have been described as an alternative food source for the moths before and therefore not every captured moth means that an active infestation is present. This paper examines how monitoring data collected with pheromone traps can be used to differentiate between moths resulting from an infestation of an object or from other food sources like dust under the wooden floor. Information including the time of first and last sightings, the total number of moths trapped over the year and the general state of cleanliness the location is important in selecting appropriate measures. 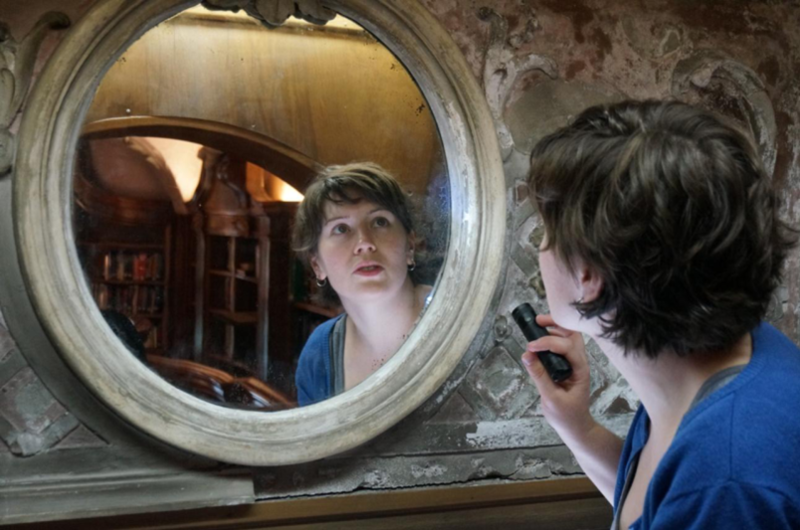 Over six years of pest monitoring data collected in different museums in Vienna, Austria was analyzed in conjunction with information on cleaning and housekeeping efforts to determine whether the infestations were from infested objects or dust. As integrated pest management resources are often limited, being able to determine whether enhanced housekeeping or remedial object treatment is necessary will help prioritize actions and prevent further damage. 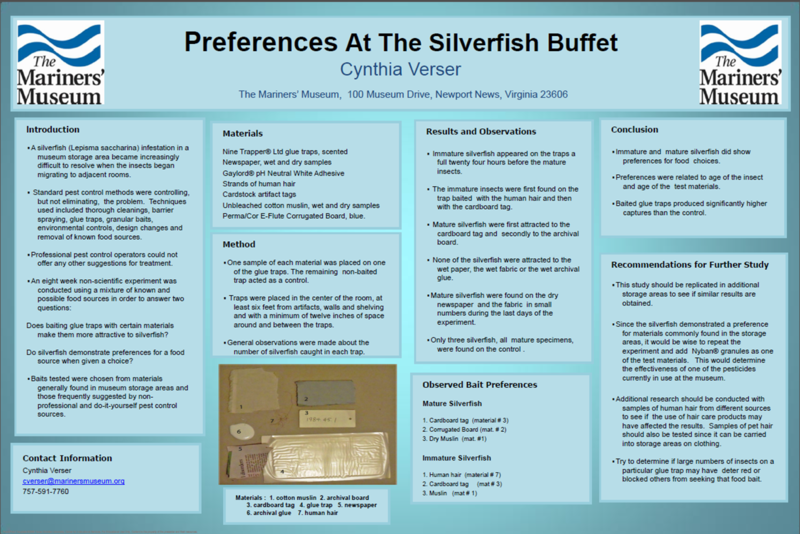 This paper will discuss an experiment to determine if Silverfish show a preference for specific materials when given a choice from items commonly found in and around the museum collection and buildings. Wet newspaper, dry newspaper, archival glue, human hair, paper artifact tags, and cloth were put on glue boards and stationed around the center of a storage room along with an un-baited glue board which served as the control. Using the center of the room reduced the likelihood of random capture and encouraged the insects to choose an individual attractant. 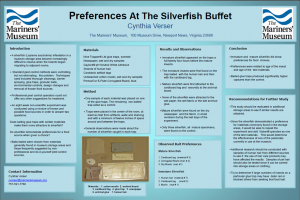 Effectiveness of each material was determined by the number of Silverfish caught at each station. The experiment is currently being repeated in other storage areas with additional attractants. Initial observations show a preference for specific materials and the strength of the attraction varies based on the age of the insect. Keratinacious objects, such as woolen textiles, quillwork, tortoiseshell, and horn wares, are particularly vulnerable to certain types of insects including carpet beetles and clothes moths. A wide variety of factors influence the locations of insect damage on a given object, including color. In a 2010 research project, Winterthur University of Delaware Program in Art Conservation student Steven O’Banion documented the existence of preferential insect damage, finding a correlation between the color of parts of quillwork objects and their likelihood of their being damaged by pests. 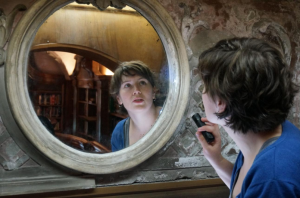 More information about what makes certain parts of objects preferable to others could influence the risk assessment of and guide the monitoring plans for vulnerable museum objects everywhere by suggesting where preferential insect damage is most likely to occur. In 2010, a wool wholecloth quilt in the Winterthur Museum’s collection was discovered to be infested with case-making clothes moths and varied carpet beetles. Because the damage indicated a clear preference for a specific colored part of the object, it presented a good opportunity to investigate why the blue stripes were more attractive to the pests than the rest of the object. XRF and GC-MS analysis was performed on fiber samples taken from the quilt in order to identify the dyes and mordants present, and provide clues as to why the preferential damage occurred. The GC-MS analysis of the blue samples, the preferentially eaten areas, confirmed that the blue areas are dyed with indigo or woad, an unmordanted vat dye. The XRF analysis detected copper in the green yarn samples, the samples from the preferentially not-eaten parts of the quilt, which indicates that copper was the mordant used for the yellow dye in the green thread and fabric. Copper is a known biocide, and its toxicity to many types of insects and marine life is becoming increasingly well-documented. It now seems possible, however, that these pests particularly prefer indigo-dyed wool to other colors of wool because it is unmordanted, contains nitrogen, and because the alkaline vat dyeing process makes the wool fibers slightly easier to eat. This knowledge can better inform collections care, and make integrated pest management more efficient because dye-related risk could be factored into the schedule for monitoring to make the best use of staff time and resources.